Pinning your power hopes on the weather requires more than just a leap of faith, it requires candles, torches and a sturdy backup generator. The hapless denizens of South Australia (Australia’s wind and solar capital) are now world-renowned for their (enforced) self-reliance and stoicism. In wind and solar obsessed Australia, couple a spike in demand (a heatwave, say) with calm weather and/or sunset and the grid manager scrambles to keep the whole show afloat. Power punters simply struggle along, freezing or boiling in the dark. 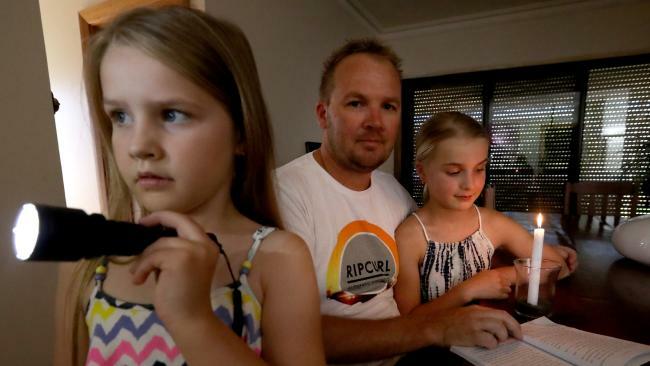 South Australians have suffered Australia’s only statewide blackout and dozens of mass load shedding events. Its grid is on the very brink of collapse. But it’s not unique to SA. Any place attempting to run on sunshine and breezes is struggling to prevent its electricity generation and distribution system from imploding. It’s to be remembered that it wasn’t engineers who were demanding windmills and solar panels; that came from witless politicians chasing votes from climate obsessed, inner-city greens. While engineers didn’t create the problem, it’ll be left to engineers to sort out the mess and attempt to keep the lights on (to the extent possible). As with any engineering problem, it pays to identify its source. Which is precisely what David Watson does in the article below. David Watson is a chartered electrical engineer who before retirement was manager of projects at Foster Wheeler Energy, based in Glasgow. 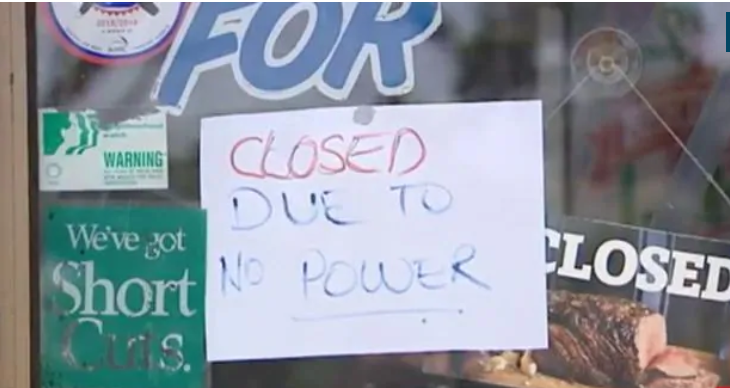 Even in industrialised nations in the 21st century, the sort of electricity-grid system failure that’s been seen in parts of Australia in recent years is not uncommon. In the UK, the risk of total blackout or significant partial shutdown of the transmission network is increasing. The rise in renewables is making failure more probable. Wind farm growth creates frequency-management issues arising from reduced system inertia, while declining network strength can cause longer, stability-risking, fault-clearance times. Then there are the challenges to match supply to demand following sudden variations in wind generation and the reduced one-hour notice of input variations from European interconnectors. Other risk factors include grid substation failure, lightning or overhead line faults and cyber attack. For grid recovery following widespread collapse, a process known as ‘black starting’ is deployed where the UK is split into different areas. Being able to rapidly black-start the country is a public health priority and, rightly, a public expectation, but in Scotland, and probably London, it is unrealisable; it would take several days to re-establish networks. So serious has the issue become that I understand it has attracted the attention of the government’s Cobra civil contingencies committee. Professional expectation for Scotland to black-start has now, I’ve been told, risen to five days, largely as a result of large-scale, dispatchable, on-demand generation being replaced with intermittent distributed renewables. London has experienced a similar progressive local reduction and will also take longer to recharge since much of its high-voltage grid uses cable and not overhead line transmission. The Scottish Black Start Restoration Working Group reviewed its procedures in September 2018. These are based on local joint restoration plans that would see transmission operators powering up and stabilising local transmission islands, which would then have to be synchronised and progressively interconnected. The group’s report warns that, following the 2016 closure of the Longannet coal-fired power station in Fife, there would be ‘severe delays’ to restoration. Peterhead gas-fired station, now Scotland’s only high-powered and high-inertia (essential to stabilise frequency) dispatchable power station, is seeking planning permission to install 31 diesel generators, capable of full power for seven days, to secure its restart. However, it has only half the capacity of Longannet and couldn’t restart all of Scotland without input from the pumped-storage capacity at Cruachan and Foyers and, crucially, from England, which arrangement is untested. Nor would wind farms be able to black-start the grid. Main generator types in use need external power to start generating; some more recent designs are self-starting, but connecting to a dead grid via long offshore AC cable interconnections remains an unsolved problem as the turbines cannot provide enough reactive power to recharge what are, in effect, large capacitors. In any case, they wouldn’t be able to meet National Grid requirements for block loading, grid voltage or frequency control. The first local joint grid-restoration activity is to disconnect all offshore generation. Onshore wind farms can be progressively reintroduced once the grid has been re-established, but only providing they are not frozen and there is wind. As with all nuclear stations, Scotland’s Hunterston and Torness could only be reconnected into a stable grid, this taking several days. The new £2.4bn HVDC interlinks from Wales to the Hunterston area and from Moray Firth to Spittal have not been engineered to support black start as they do not include the latest voltage source converter (VSC) technology and cannot commutate into a dead network. Scotland is now literally at the end of the line and critical restart power would arrive only once the north of England grid had been re-established. Similarly, for London, the two HVDC interconnector links to France and the Netherlands cannot support black start. The situation is clearly untenable. It exemplifies the need for proper governance of the UK electricity system to replace the present disparate, profit-driven weakening of the grid that ‘the market’ has caused. Several of the engineering institutions are advocating change, including the IET, the IMechE and the Institution of Engineers in Scotland. We need to be heard. The UK is in danger and so to is Australia, without a Federal Government that can take control of this Essential Service and direct it towards recovery we are going to go Black time and time again. While I like many others are concerned about the inconsistent manner of Liberal MP’s in this matter it has to be more important to get them back in government and then WORK VERY HARD to ensure they turn this countries Energy Policy around – shut the States out of decision making with respect to this Essential service to ensure this Nation once again thrives. We have the ability to provide our energy from sources that are clean(er) than Wind and Solar as well as being far safer/reliable production methods which will help this Nation become a World Leader in industry as other Nations falter under the weight of so called ‘Renewable’ methods. If we don’t get a Federal Government who can see through the bleakness on offer by others we will go Black time and time again and wither under the weight of policies that cannot ever return this Nation to one of prosperity and opportunity. Choices are slim and confusing but we need to ensure we are all abreast of what the future will hold and ensure we pressure our Local Members to bring about the changes we need to secure our energy supply does not let us down. SoaG your tireless support and advice for Yoda I fully endorse. However I must take issue with your Hawthorn/Alistair Clarkson analogy. As an Essendon supporter it seems to me that were Hawthorn to adopt the selfless objective of preventing another Collingwood premiership it would indeed be a noble cause, a sacrifice to be lorded by supporters of the other 16 clubs. Green energy is dump energy. Just a shot in the dark. Hello Germany you are next. Wishing my main man Yoda Yates all the very best as he attempts to convince the citizens of Kooyong to vote for him in Thurday night’s candidate forum in Hawthorn. Alas today whilst reading that socialist rag “The Guardian”, I read an article on Yoda and the other candidates for Kooyong. Whilst not meaning to be hypo-critical there, Yoda, I have a few points of issue with you in regards to your input in the article. Firstly, you state your main goal is to work with other candidates so that Josh Frydenburg doesn’t get elected, with your second being trying to get elected yourself. What the hell, myself and others are busting our guts to get you over the line and your main aim isn’t to win, it’s just an act of vengeance against Frydenburg. Can you imaging the uproar if at an AFL press conference Alistair Clarkson declared his main aim at the Hawks this year was not so much for them to win the Premiership, but to make sure Collingwood didn’t! It sounds like you have already conceded you can’t win! Secondly Yoda, with all the hype you zealots espouse regarding the virtues of EV’s, I noticed in the picture of you outside your office on Glenferrie Road that as a backdrop there’s a black carbon emitting petrol guzzling GL350 Merc SUV. Not sure if it’s yours big fella, but for God’s sake, you might as well have parked a V12 Rolls Royce Phantom out the front. I can see all this stuff from 1,000 KM away, attention to detail, Yoda, is every-thing. Not sure what Doddy’s been doing?